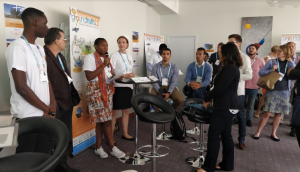 How can local communities, traditional authorities and scientific actors come together to co-produce knowledge about the environment and foster collective action towards sustainability? 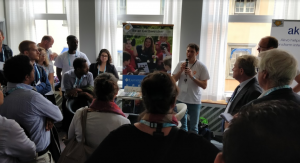 To share its experience with setting up citizen observatories in Africa and in Europe, Ground Truth 2.0 organised a session called ‘Participated sustainable development: the role of citizen observatories’ at the recent Stockholm World Water Week. During this interactive session, participants explored the opportunities of citizen observatories to foster collective action by different stakeholders, as well as the challenges with implementation. A key issue of interest concerned the sustainability of the Ground Truth 2.0 observatories – how will they be able to sustain their activities beyond the project? “From the start of the project, we have been trying to ‘work ourselves out of our job’ “, said Uta Wehn, Project Director of Ground Truth 2.0, so that the observatories can continue without project support. Efforts have focused on supporting each Demo Case not only in the co-design process but also in its journey towards sustainability, providing them with tailored business modelling guidance. Also, the value of citizen observatories beyond providing data alone was key a topic of discussion. 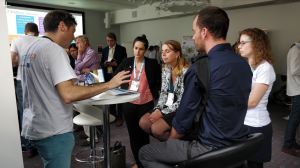 On the whole, this was another great effort by the Ground Truth 2.0 team to reach out to spread its emerging insights on how to leverage the social innovation potential of citizen observatories. Next is the finalisation of the Ground Truth 2.0 methodology for co-designing sustainable citizen observatories – so stay tuned!